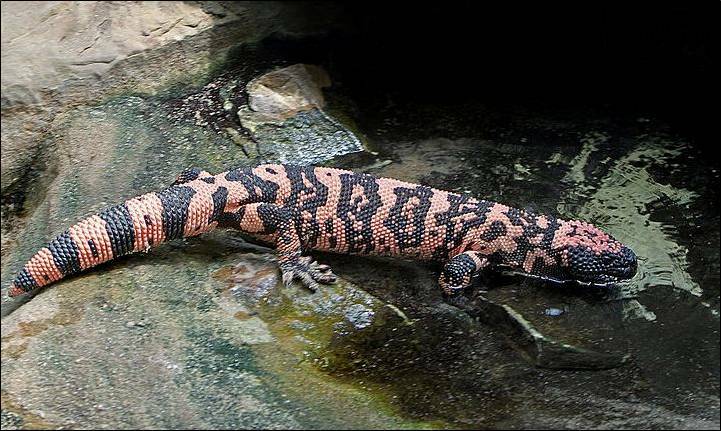 1) There are two species of beaded lizard, the Mexican beaded lizard (one of which makes its home at the Grant Museum of Zoology, the lucky thing), and the somewhat more charismatically named gila monster. 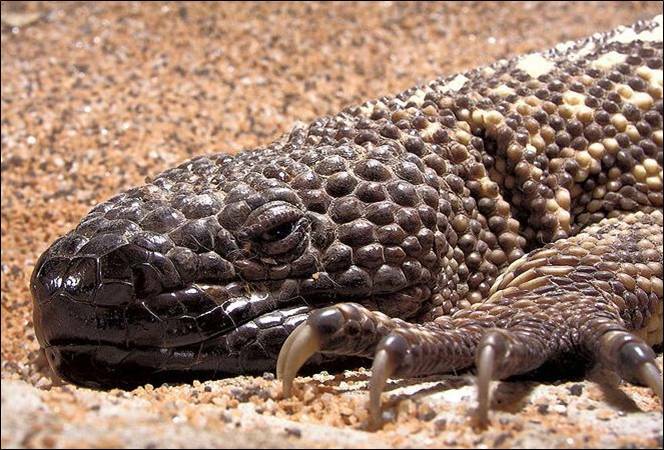 The gila monster may sound impressive and exciting whilst the Mexican beaded lizard conjures images of a reptile wearing jewellery, but the beaded lizard is just as impressive, let me tell you. For starters they can grow up to 90 cm in length, which is 35 cm longer than the gila monster. Take that gila. 2) Another reason that the Mexican beaded lizard should take a trip to the deed poll, is that it doesn’t just live in Mexico. They decided that Guatemala looks quite nice too and having been there I absolutely agree- check out the tail feathers on the national bird for example. You will find beaded lizards in dry open forests, thorny scrubland, or around the edges of deserty areas. 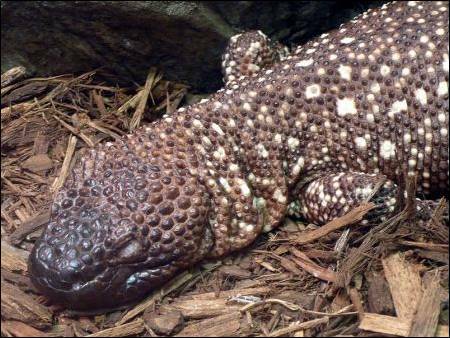 3) The beaded lizard is both diurnal (active during the day) and nocturnal (active during the night). No it is not an advocate of downing pro-plus and heaping tablespoons of coffee into its mug, it just chooses whether to come out at day or night depending on the season. As much as reptiles like the heat (as they can’t control their own body temperature- an issue I understand well) they don’t like extreme heat. On particularly hot days, they spend most of their time sheltering in rocky crevices or in pre-prepared self-dug burrows. 4) Another reason why beaded lizards are impressive is their climbing skills and predatory abilities. They are adept at climbing trees and use their short, stocky tails as a counterweight in order to hunt arboreal prey such as birds, small mammals and other, smaller, lizards. They are also naughty on occasion and raid nests for eggs to eat. 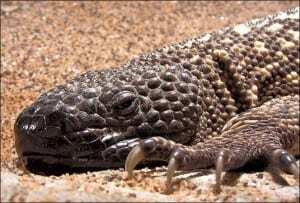 5) The Mexican beaded lizard and the gila monster, are in a select, elite, non-official club of reptiles called ‘venomous lizards’. Whilst that makes them very cool, their system is not well thought out. When the lizard bites, venom is released from glands in the jaw which is expelled alongside the teeth. 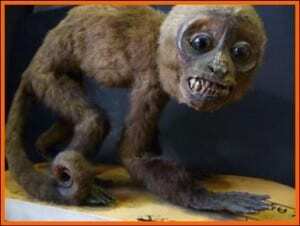 It must then hold on to the prey whilst the venom travels from the ducts to the open wound. Whilst in this posture, the lizard grinds its jaw from side to side which results in the frequent loss of teeth. This system is inefficient compared to the biting or stabbing method of venom injection of some snakes. A human bitten by a beaded lizard may suffer from swollen limbs, drowsiness, nausea, laboured breathing, a swollen tongue, a decrease in blood pressure and even paralysis as a result of the neurotoxins. However, research has suggested that the venom may in fact have properties that serve to enhance memory though, so it’s not all bad. P.S. Check out the beaded lizard’s only known (to me) Hollywood appearance, in the film Race to Witch Mountain. Don’t blink or you’ll miss it.